A two vehicle crash on South Ohio sends a Salina woman to the hospital on Monday afternoon. 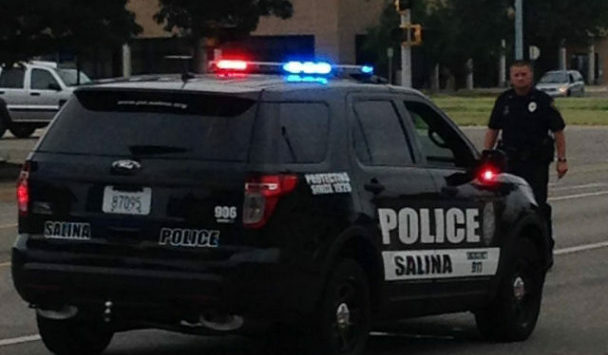 Salina Police say 52-year-old Jennifer Smith was transported to Salina Regional Health Center after her 2006 Honda Pilot was rear ended by a 2002 Dodge Caravan driven by 17-year-old Dane Vanetta of Salina. The accident occurred just before 3pm in the 2300 block of S. Ohio near Roach Street while Smith was stopped at a red light. Smith was complaining of neck and head pain at the scene to EMS personnel. Vanetta was cited for inattentive driving. Both vehicle were towed from the street.